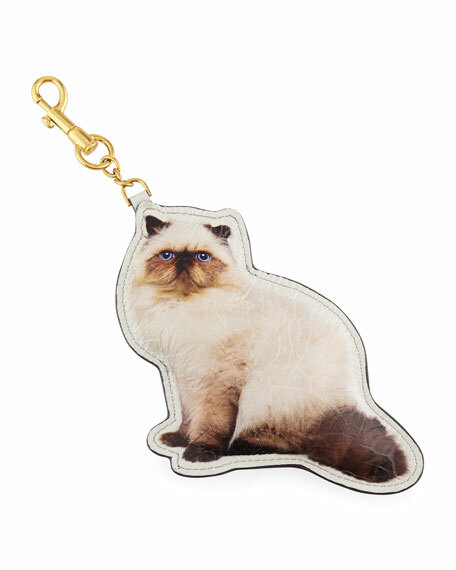 Anya Hindmarch cat-print lambskin leather charm for handbag. Golden hardware; lobster clasp closure. For in-store inquiries, use sku #2479093.